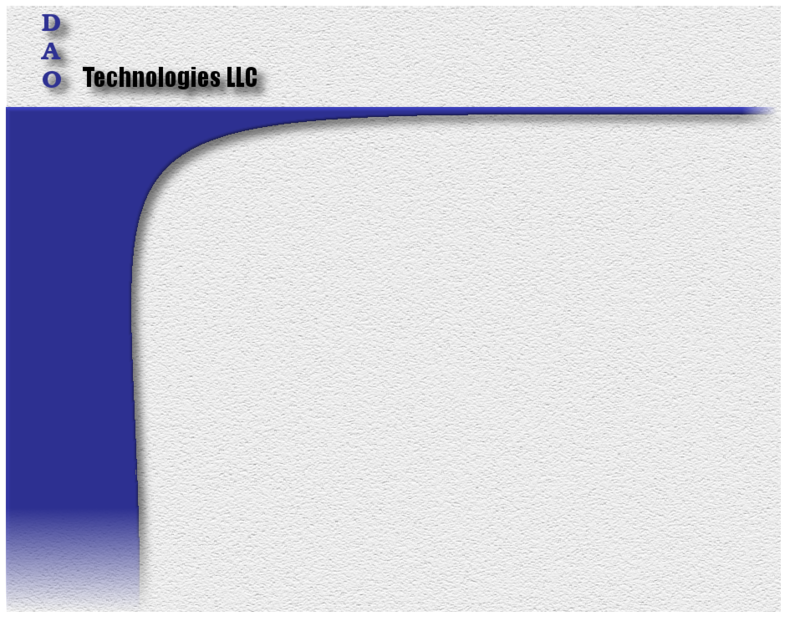 DAO Technologies LLC is a technology management and consulting organization that specializes in FOSS (Free and Open Source Solutions). We support Linux, BSD, Windows or Macintosh environments and have over 25 years of experience supporting heterogeneous environments where multiple technologies are deployed. In more recent years we have become more involved with developing solutions with single board computers (SBCs), Internet of Things (IoT) infrastructure, hybrid cloud, data science and machine intelligence. We can work with organizations of all sizes to design, deploy and manage technology solutions. Durable - solutions should stand the test of time. The world changes constantly. The solutions we provide won't. Adaptable - solutions should, at their core, be flexible and able to be modified with a minimum of structural changes. Open - solutions should be based on open technologies to insure the best widespread support and future development paths will be available. Our core principals differentiate us from other organizations because it allows us to stay more solution driven instead of by product or policy. This means we can support a more decentralized and customer focused environment which is increasingly what is needed to adapt to a rapidly moving technology landscape. DAO provides your organization with technology expertise so that you can focus on your business and know that you have a partner managing and protecting your technology assets. We create solutions that provide clear growth paths and investment protection. Please browse our website and contact us to discuss your technology needs.